When the weather outside is frightful—there’s nothing better than playing board games with a group of friends and family. 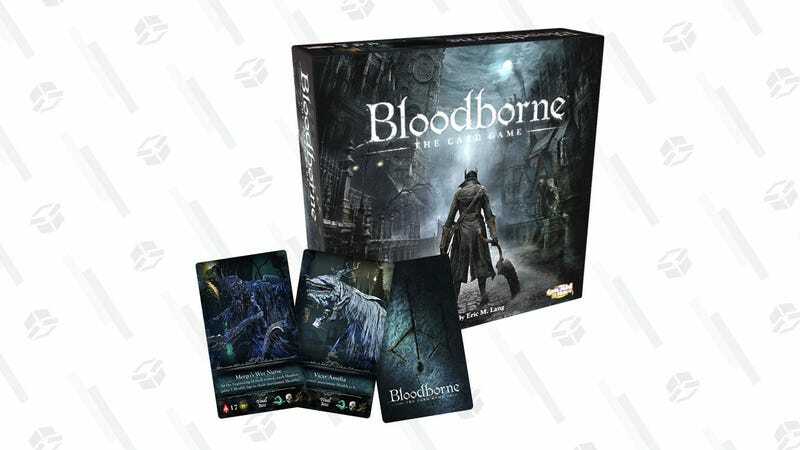 Bloodborne: The Card Game promises to be a dark, fun team-based romp, and you can add it to your collection for just $21 on Amazon. Set in the world of the video game that shares its name, 3 to 5 players work as a team to survive the throngs of monsters and villains sent their way. And unlike Settlers of Catan or Monopoly, you’ll likely walk away without any bruised egos or real-life blood feuds.